Sigler is also the head of the Delaware Republican Party. The NRA pours an extraordinary amount of time, money, and effort into supporting pigeon shooting in Pennsylvania and defeating any legislation to ban them. Now we know why: Their top leadership such as Sigler, Ted Nugent, and former NRA Board member and former president of the Philadelphia Gun Club, Leo Holt, are pigeon shooters. These cruel men are using and abusing the name of NRA members, not to support the Second Amendment, but so that they can enjoy their private slaughter of innocent animals. 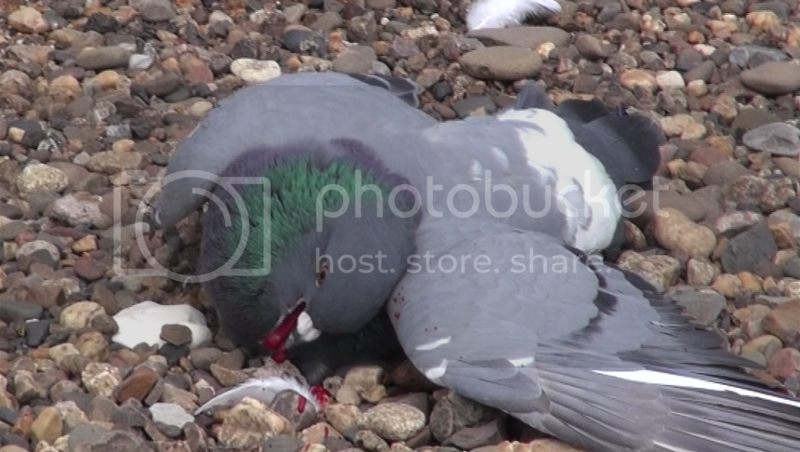 During a live pigeon shoot at the Philadelphia Gun Club (PGC) last week, this pigeon fell from the sky, hit the rocks hard, and began to die, blood spitting from her mouth in her death throes. John Sigler has been caught on video shooting at the PGC. Please also email the following, who are all Republicans serving in the Delaware Legislature and office of Auditor. Ask them if they want the leader of their party to be a man who mercilessly slaughters innocent birds for fun. 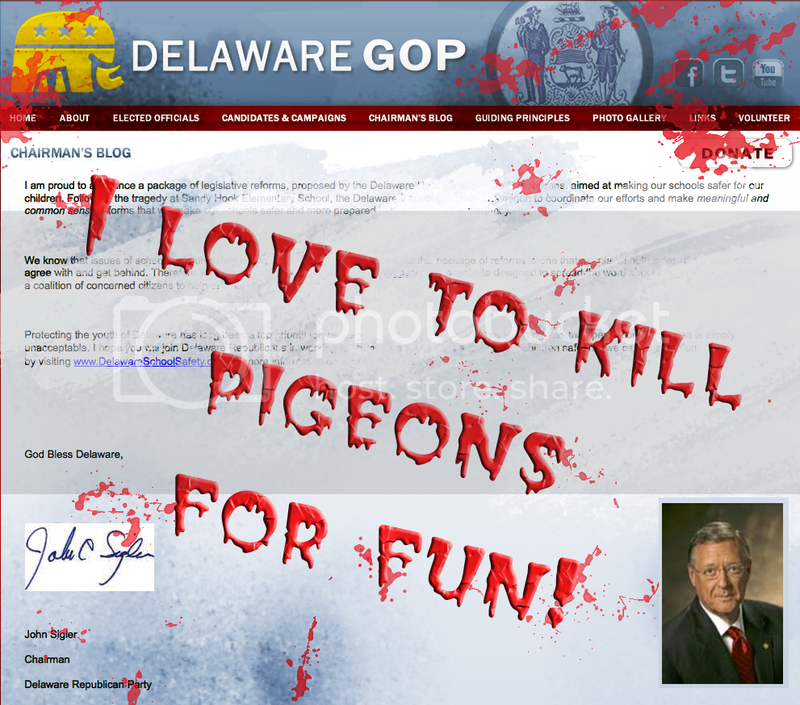 Sigler's blog on the Delaware GOP website. Or at least what it should really look like.